A special product from the LITHOFIN-Range for ceramic and porcelain tiles (KF). 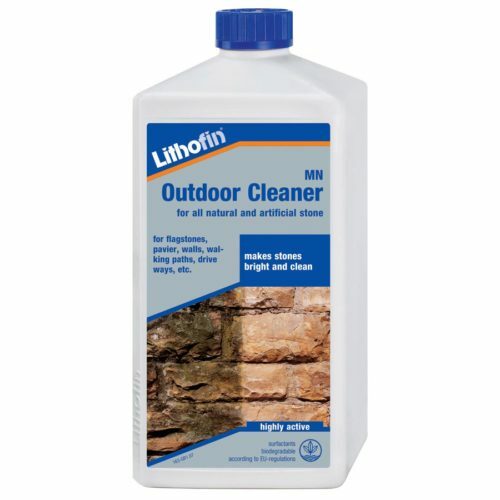 Lithofin KF Intensive Cleaner is a strong alkaline product based on highly active and biologically degradable components. 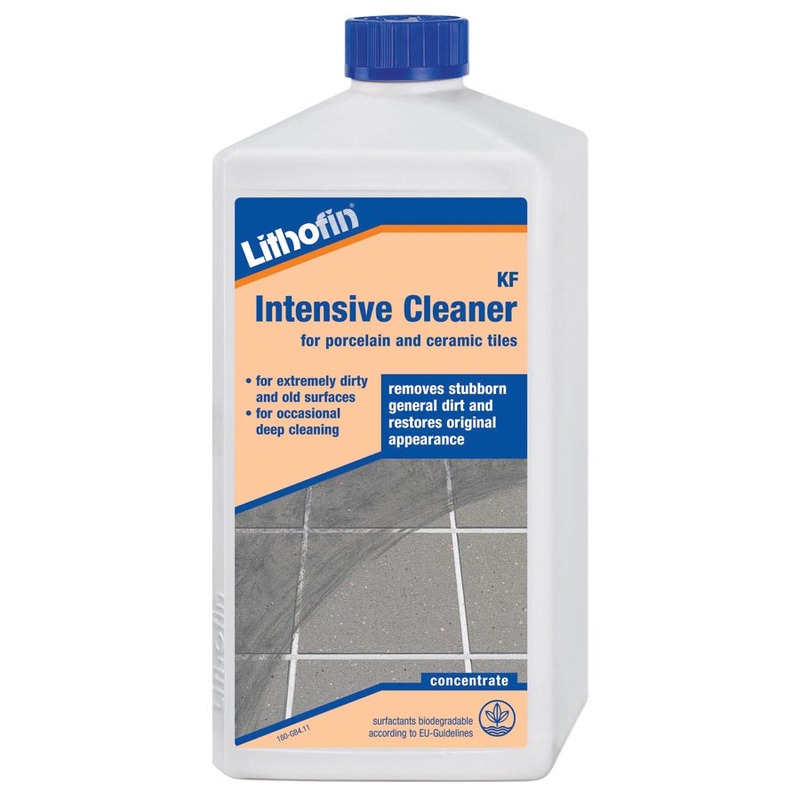 Lithofin KF Intensive Cleaner dissolves and removes stubborn ingrained dirt, oil and grease, rubber, polymers and waxes, care product residues, etc. 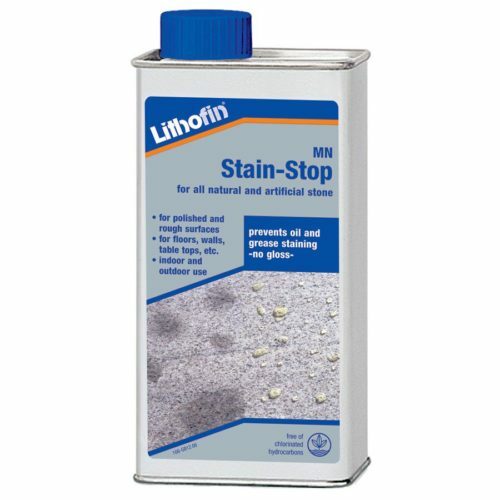 For basic and thorough cleaning of surfaces and for regular use on surfaces subject to heavy wear and tear where care with Lithofin KF Vitra-Clean is not sufficient. 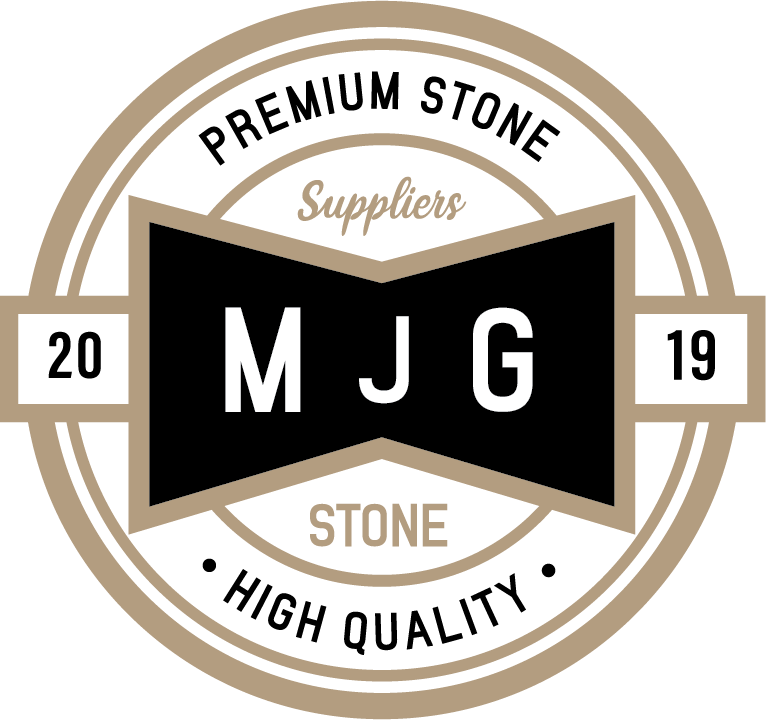 Suitable for all porcelain and ceramic tiles. Dilute Lithofin KF Intensive Cleaner up to 1:10 with cold or lukewarm water and distribute evenly on the surface with a brush or scrubber. Allow the product to work for 10 to 20 minutes, brushing occasionally and not allowing the product to dry. Remove from the surface with a cloth or with a wet and dry vac and rinse the surface with clear water. When used as a regular maintenance product: use approx. 300 to 400ml per 10 L of water for a surface of 100 to 150m². Wipe the surfaces wet so dirt can be dissolved and removed. an inconspicuous area prior to use. Approx 50 to 300m² depending on dirt and dilution rate. 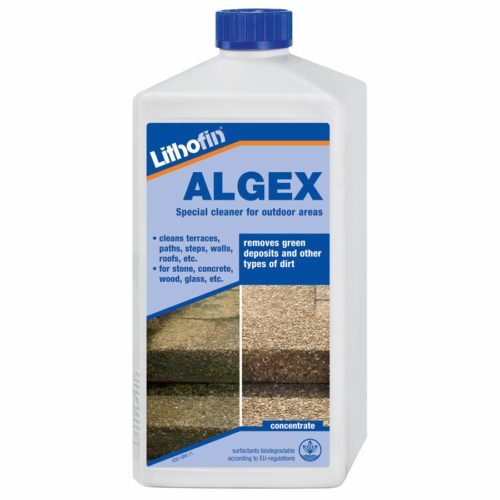 For regular maintenance on surfaces subject to normal levels of wear we recommend using Lithofin KF Vitra-Clean. Using Lithofin KF Active-Clean from time to time is advisable in areas with hard (calcium rich) water. Ingredients: Sodium hydroxide, surfactants, auxiliary agents.